Troon Real Estate Village is a 1,400 acre residential golf community located in north Scottsdale. The community offers a fitness facility complete with tennis, swimming, and a sport court. Troon Real Estate Village has a wonderful assortment of residential choices from townhomes to semi-custom and custom spec homes, as well as residential homesites. Golf course, mountain, and city light views are exceptional. Home prices range from from $500,000 to over $4 million. Lots range in price from $400,000 to $1 million +. Troon Village consists of 1,322 properties within twelve unique communities (listed below). 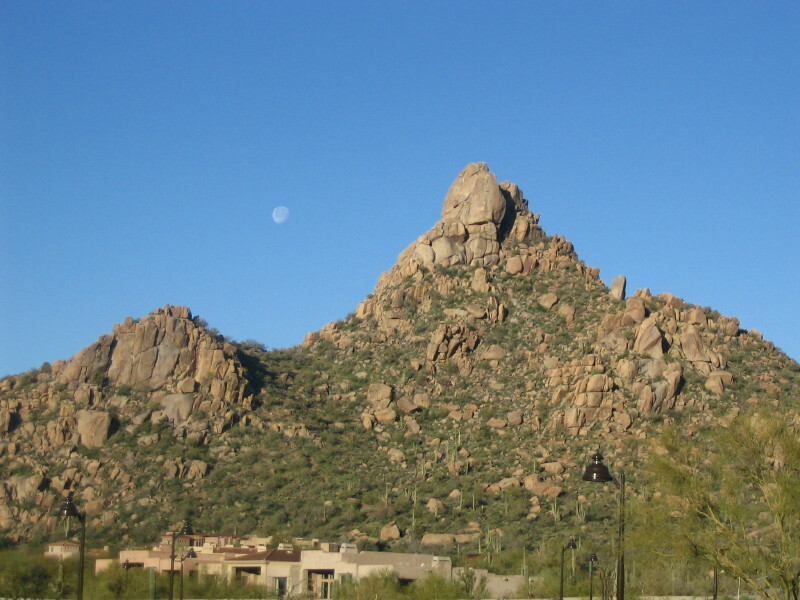 Troon Village enjoys views of Pinnacle Peak, Troon Mountain, the McDowell Mountains, Troon Country Club Golf Course, and night time City lights.. Since opening in 1986, Troon has been ranked among the top 100 golf courses in the world. Designed by Jay Morrish and Tom Weiskopf, Troon's Sonoran Desert golf course offers five tee locations ranging from 5,167 to 7,041 yards. Troon has design similarities to its namesake, Royal Troon in Scotland, where Mr. Weiskopf won the British Open in 1976. The PGA professionals in Arizona consistently rate Troon as the best golf course in Arizona - simply put, considered the best by the people most knowledgeable. It is challenging and it is fun to play. With tee and hole location changes it is a different experience each time out. The vistas are beautiful. The peace and quiet is mesmerizing. Tom Weiskopf still contributes time to ensure that his masterpiece endures. Our goal is to keep Troon in championship caliber condition year around. We strive to maintain our national reputation and our leading position among Scottsdale private golf clubs. Troon real estate offerings include many luxurious homes and townhouses that feature both mountain and city light views and course access. One of the finest private golf clubs in Scottsdale, Troon Real Estate features a gated community with guarded entry You can choose to enjoy the private lifestyle or if you prefer --- live in an area with community pools and spa facilities, Bill Slack can assist you with the Troon real estate that fits your needs. Enjoy the leisure life, spectacular views and championship level golf in Scottsdale, Arizona.